More and more parents are realizing how important it is to teach kids about money. But, how can we teach them in a way that’s both engaging and educational? 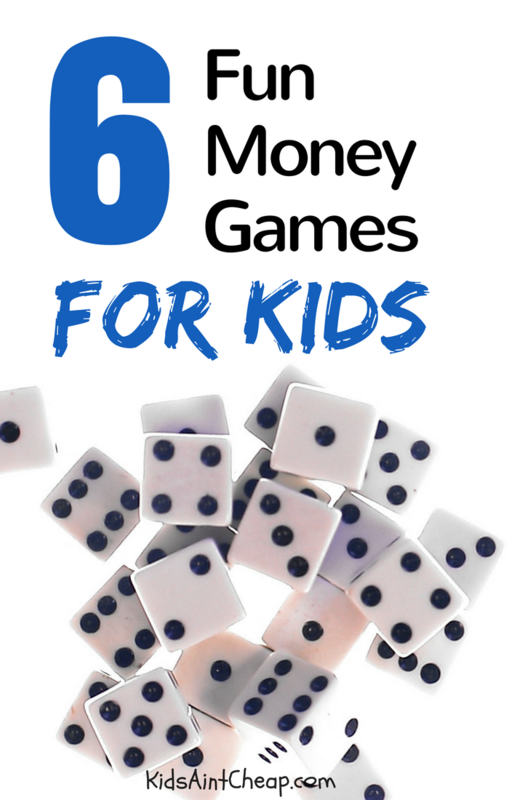 There are several money games for kids designed just for that purpose. Here are some ideas for both online and offline money games. The first person to collect exactly one dollar wins. If a player is close to hitting the dollar mark but goes over, they lose their turn. This is a fun, interactive online game from the federal bank of Cleveland. The player has to learn how to barter his or her way to a new sail for their boat. Navigating through the signs, they learn how to trade up using items they already own. If they trade right, they’ll eventually get their new sail so they can get home. Play Escape from Barter Island. Yes, your kids can play hide and seek and learn about money at the same time! First, parents gather several coins of multiple values. If you have younger kids who are still learning to count, use pennies only. Then hide the coins in various places around the house. The kids are then set loose for a preset time period to find coins. When the time is up (or when all coins are found – parents’ choice) kids count up their totals. The player with the highest number of coins (or the highest value total) wins! The PBS Kids website has a great money game called “Mad Money”. The game starts out by giving players a choice of several items to save up for. Players are given a weekly allowance, but the allowance has to cover items on their shopping list. Then, players go throughout the town, looking to find deals on what they need and working to earn more money. They win if they have enough money to buy what they need and pay for what they want. Similar to crazy eights, Net Worth is a card game that will help kids learn to manage money. The different cards allow players to pay off debt, collect assets and hinder other players’ finances. Players also learn to use strategy to protect themselves from financial setbacks such as job layoffs. This game is a quick, easy play for kids age 8 or older, and very affordable. This game from the U.S. Treasury has three skill levels in which players catch dropping coins for their piggy banks. But there’s a catch – players have to save the targeted savings amount within the specified time period. Be careful, though; if you accidently click on a falling hammer all of your savings could be lost! There are also several board games that can help kids learn how to save and manage money. The Game of Life, Monopoly, Payday, and Dave Ramsey’s ACT Your Wage are all games that teach players money skills. By using games to teach children healthy money skills we can help them become financially responsible adults. Do you have any favorite money games for kids to share?